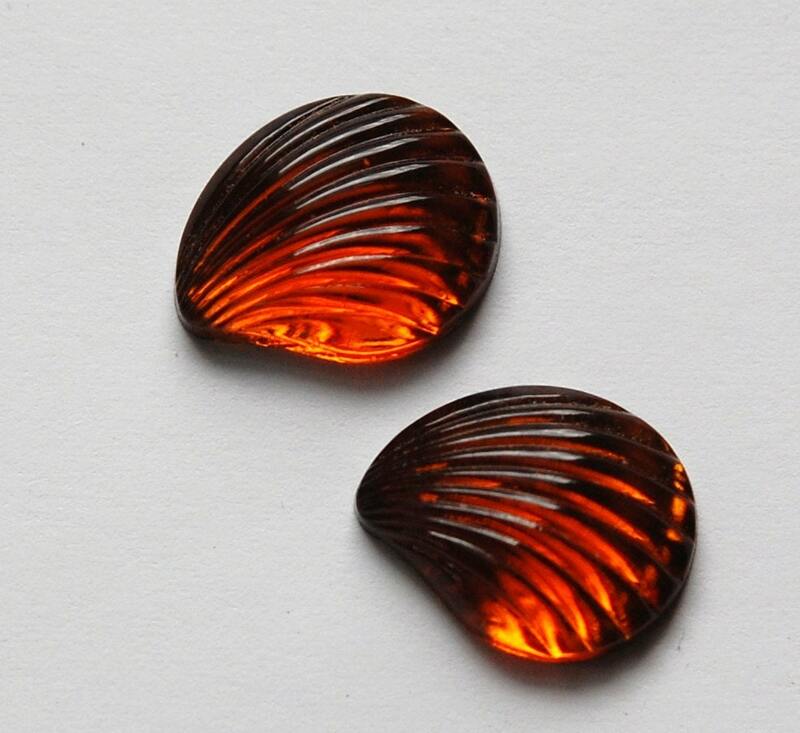 These are vintage topaz glass cabochons. They have a gold foiled flat back and a ribbed top. They look like a fan or a shell. These measure 17mm long X 14mm wide. You will receive 2 pieces. Perfect for my project. Love these! Perfect to go with some brown beach glass. Thanks for searching the world over for just the right pieces for us beaders.